Hi! It’s Jenny from Everyday Jenny. 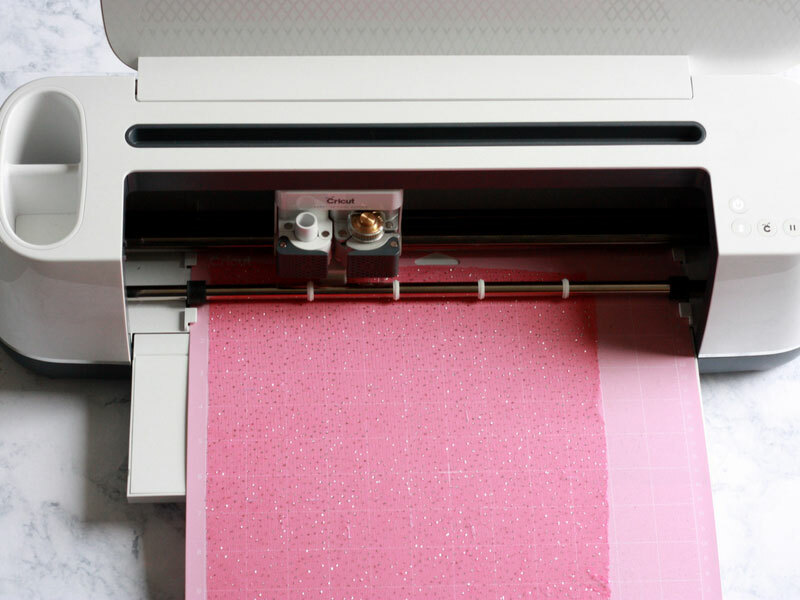 Today I’m sharing a tutorial on how to use the Cricut Maker to cut out delicate fabrics. One of the adaptive tools released with the Cricut Maker is the rotary blade. It makes cutting fabric so easy! From heavy fabrics (like denim) to delicate fabrics (like chiffon and tulle), the rotary blade can cut it with ease! I made this darling skirt with some tulle butterflies that were cut with the Maker. Open Cricut Design Space and create your design. (You can open my butterfly design here.) To choose your own image click on “Images” on the left in the design screen and scroll through Design Space’s image library. Some other fun ideas for embellishments are flowers or hearts. Once you have decided on your image, click on “Insert Images” in the lower right corner. Make sure to resize your image to fit your skirt. 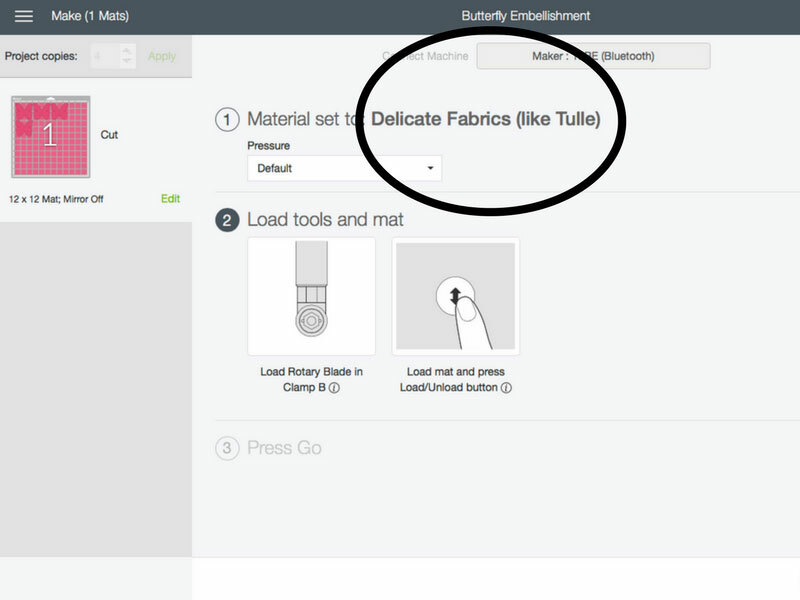 Select “Make It” and set your material to delicate fabrics. 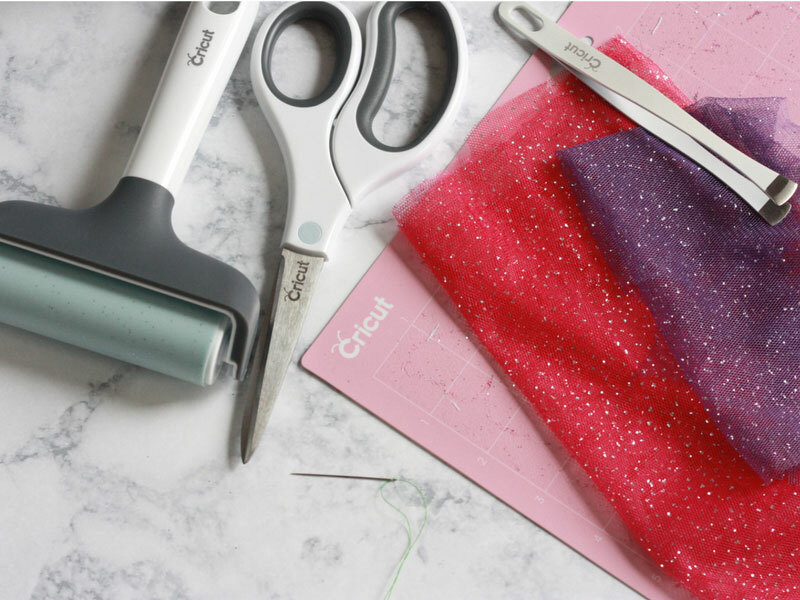 Cut your tulle to fit on your FabricGrip mat. 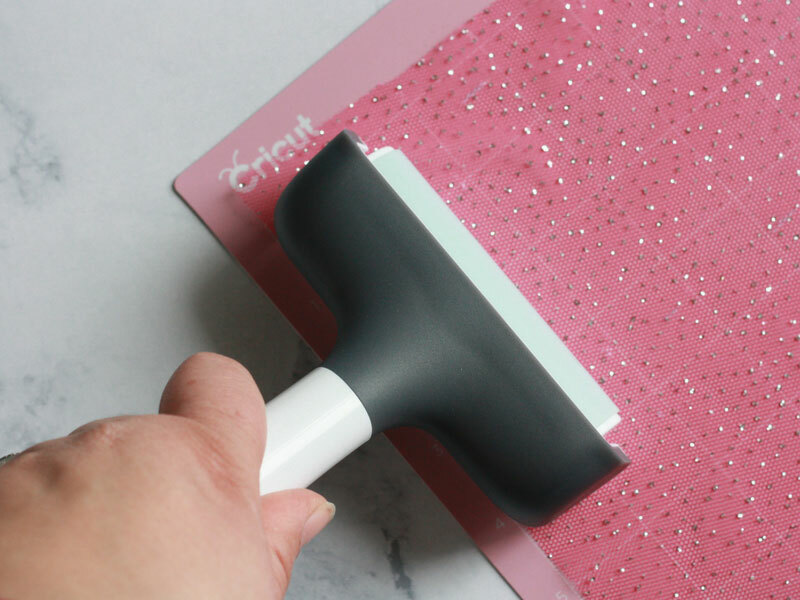 Place your material on the mat and use your brayer to help smooth and apply the tulle to the mat. Make sure that your rotary blade is loaded and then hit go. 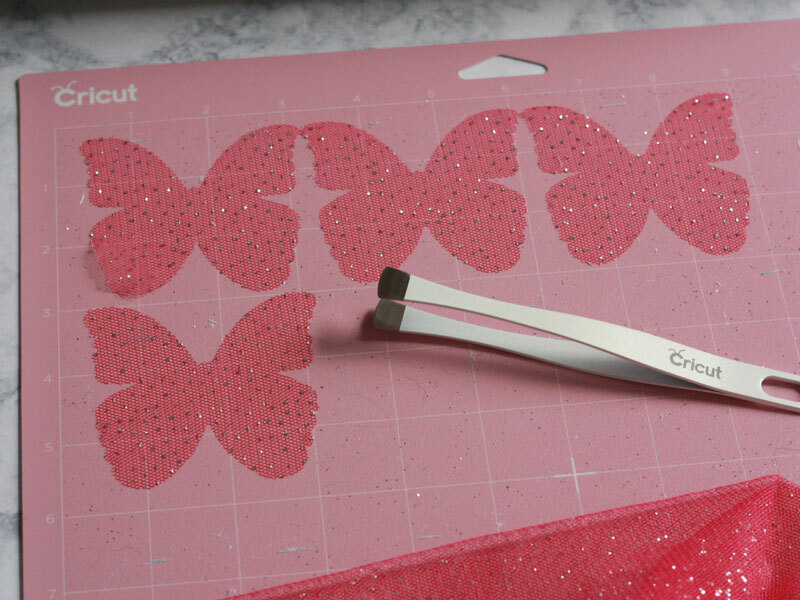 Watch the Maker easily cut the delicate tulle into beautiful butterflies! Be sure to pin this so you can try it later! Carefully remove your butterflies with your large tweezers. Be careful not touch the mat with your fingers because the oil from your hands can break down the glues in the mat. Take two butterflies and line them up with each other and place them on the skirt. 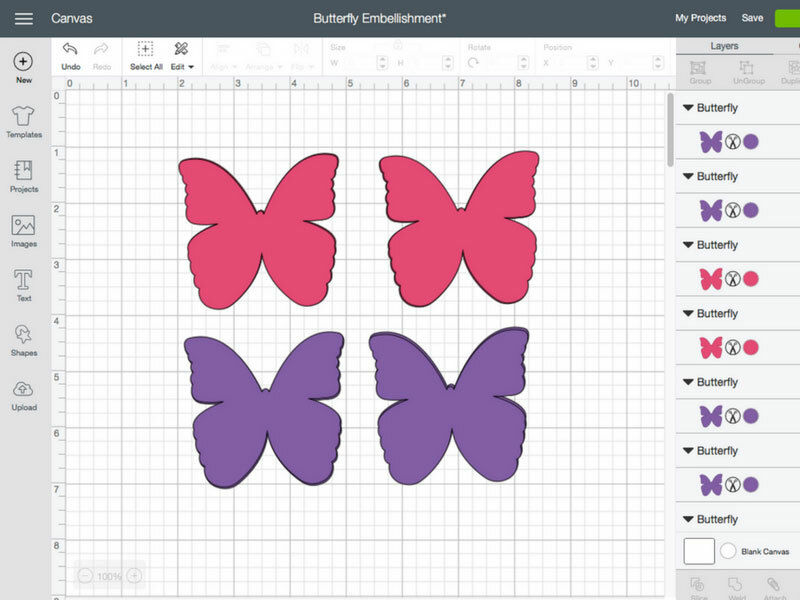 Decide on the placement and spacing for each butterfly. 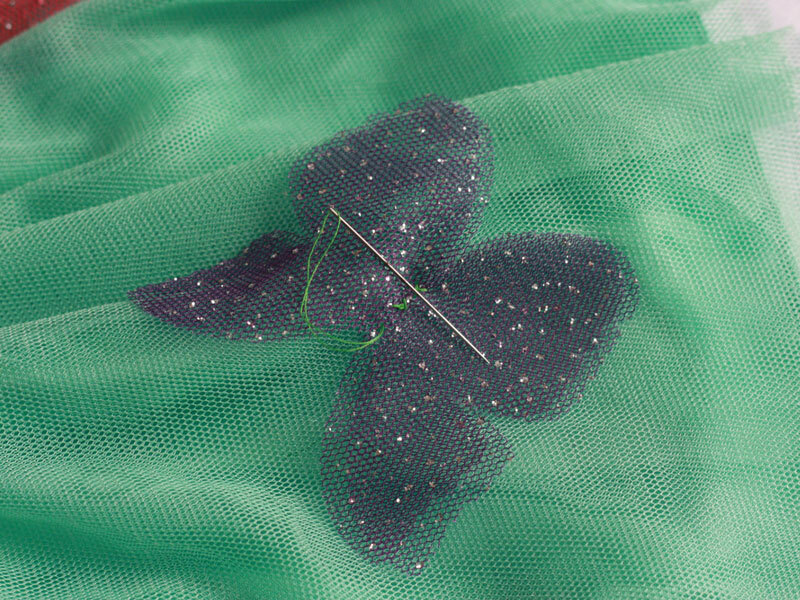 Use your needle and thread to carefully hand stitch “X’s” through the center of the butterflies. You may want to put a couple of tiny stitches in the top of the wings so they don’t fold over. Repeat with each butterfly. Your butterfly skirt is finished! 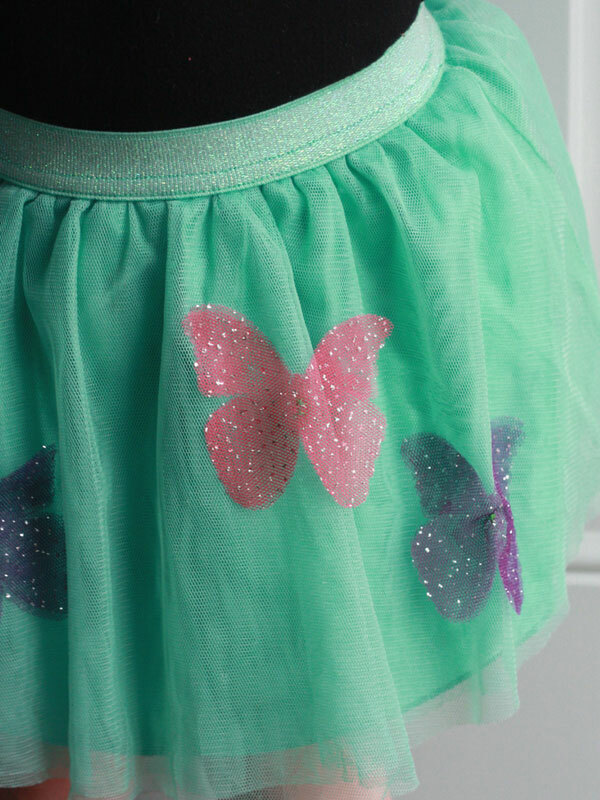 Some lucky little girl is going to love twirling in her new butterfly skirt! What fabrics have you cut out using your rotary blade? Let me know in the comments below. Please contact us at cricut.com/chat so we can help you troubleshoot. Only with cricut maker? Can I do this project with my cricut explore air 2? In order to cut fabric on your Explore Air 2, you would need to add bonding. That would likely change delicate fabrics too much for your projects.